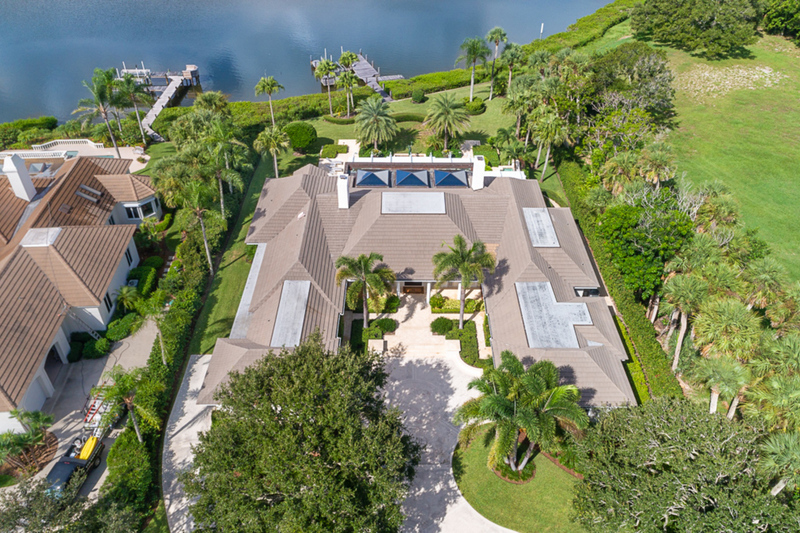 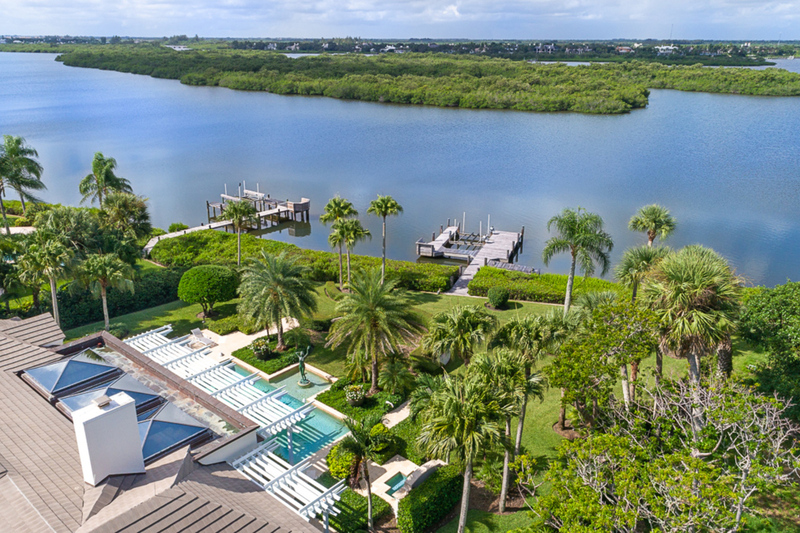 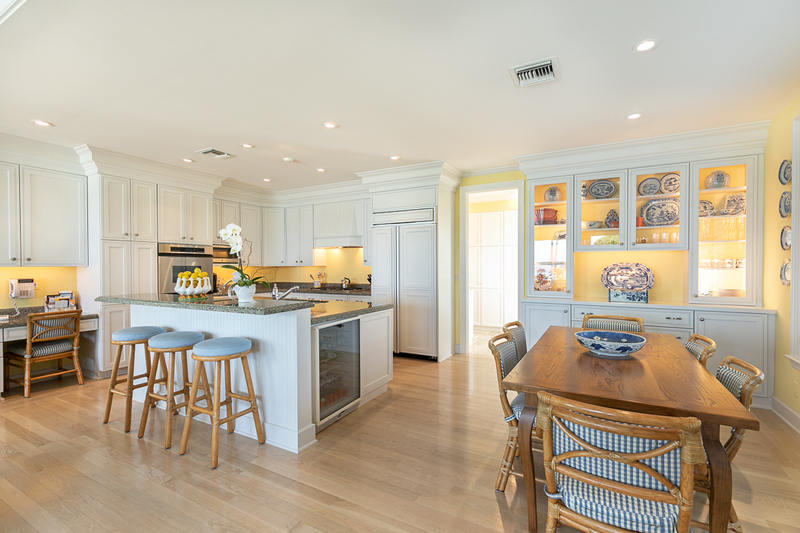 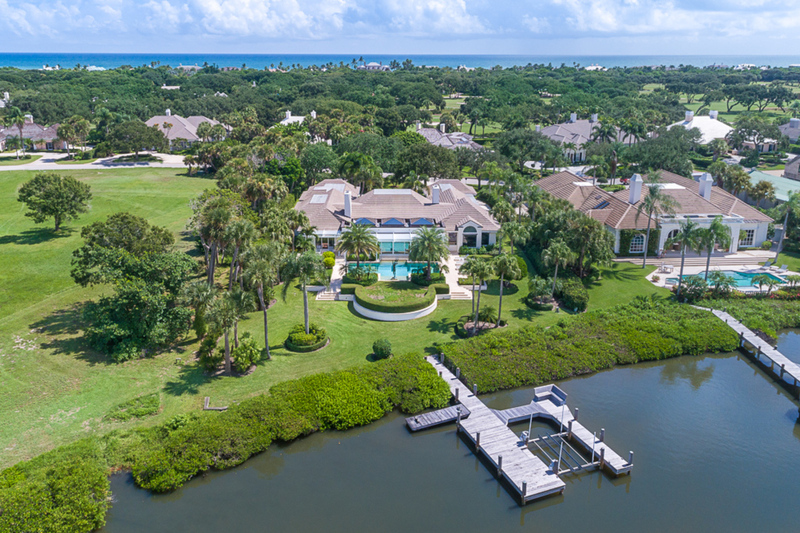 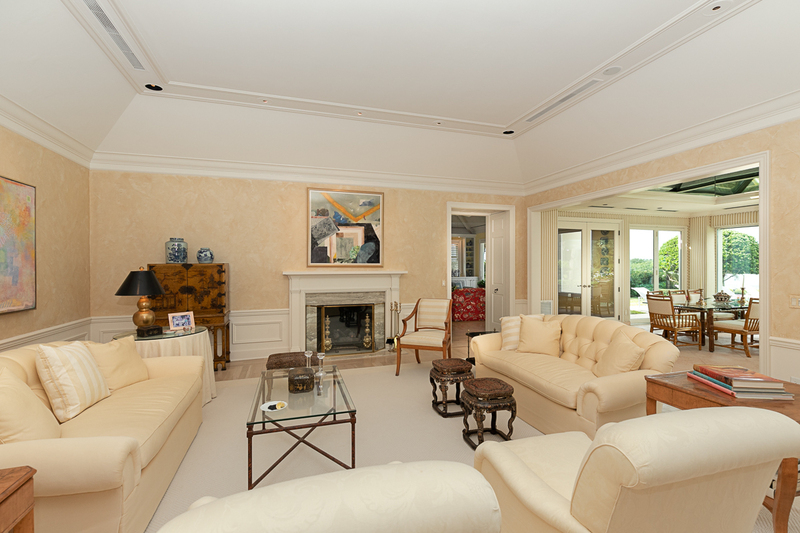 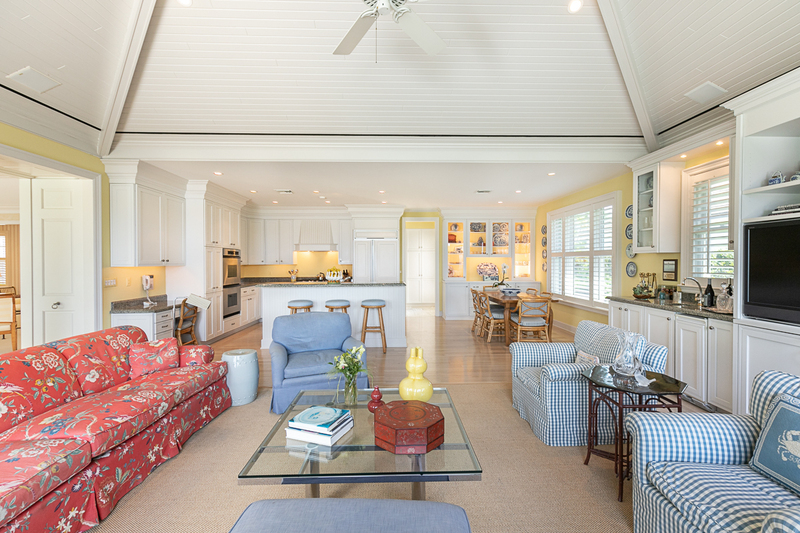 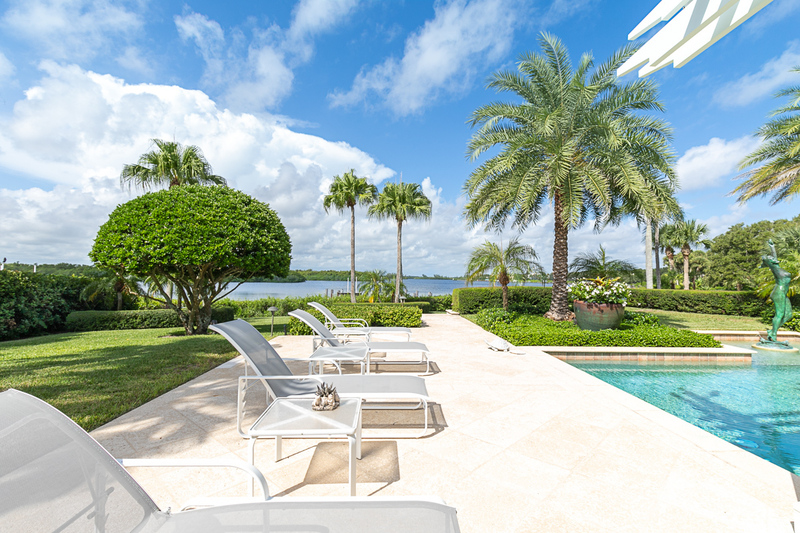 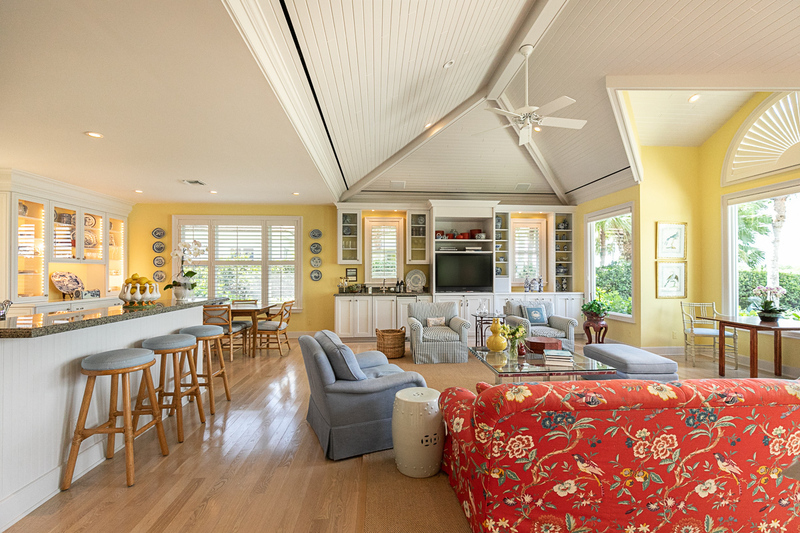 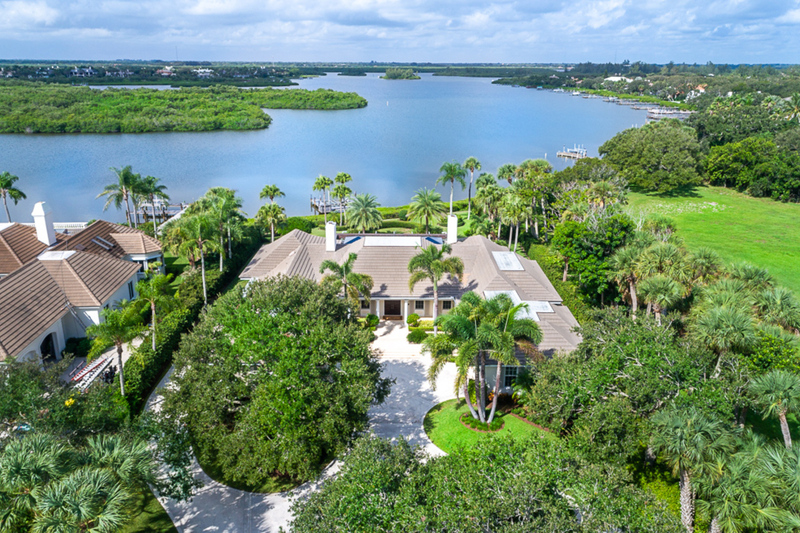 An impeccable .86± acre property situated along a private stretch of John’s Island Sound, this renovated 5BR/6.5BA residence is the pinnacle of waterfront living and offers 125± feet of water frontage. 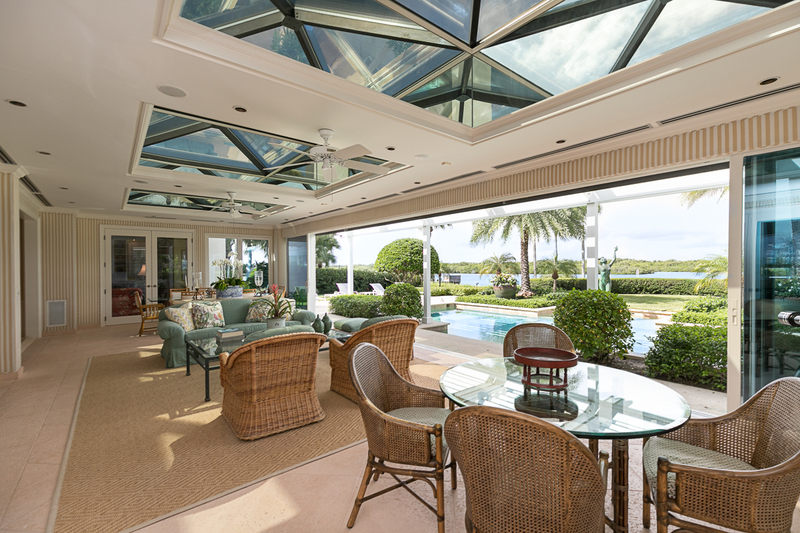 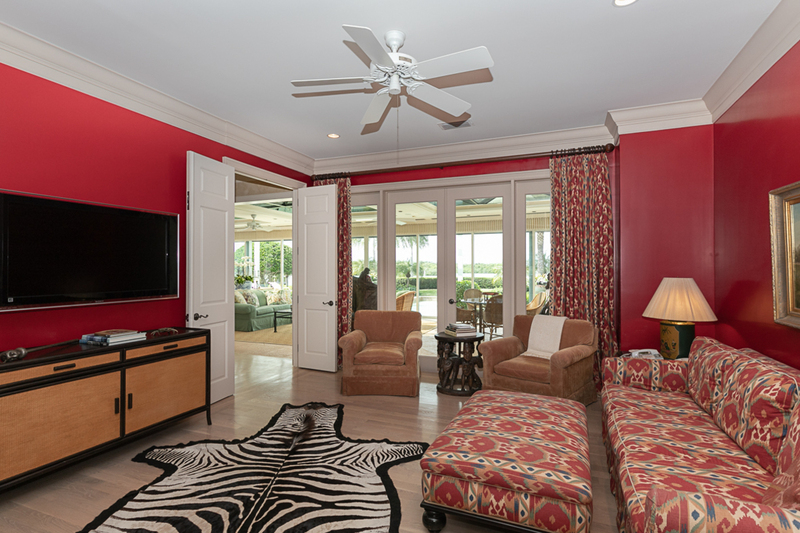 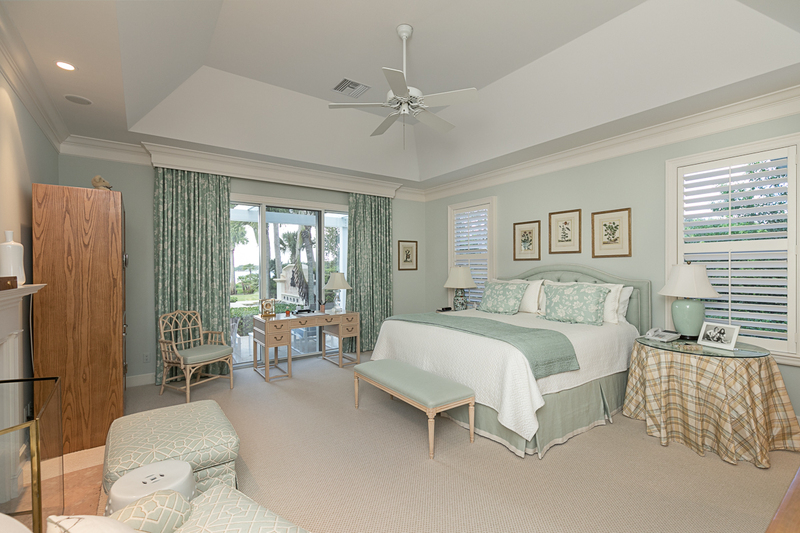 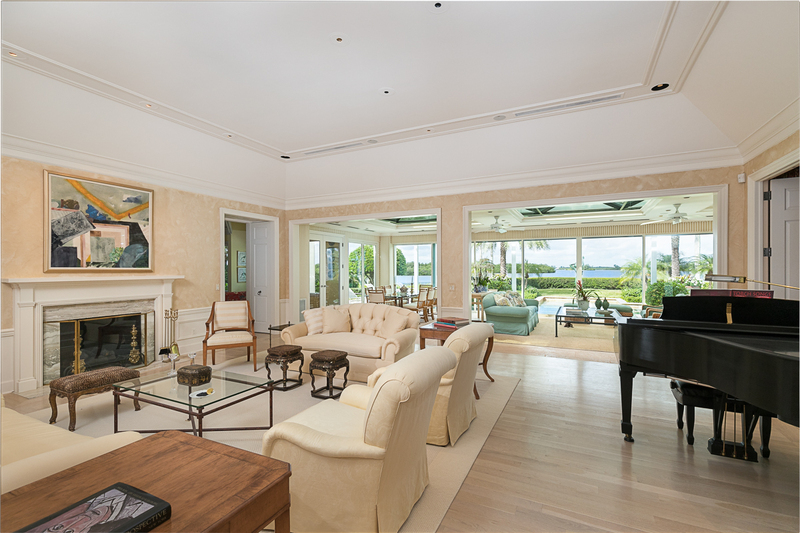 At every turn, expanses of windows and sliding doors take full advantage of the breathtaking, panoramic water views. 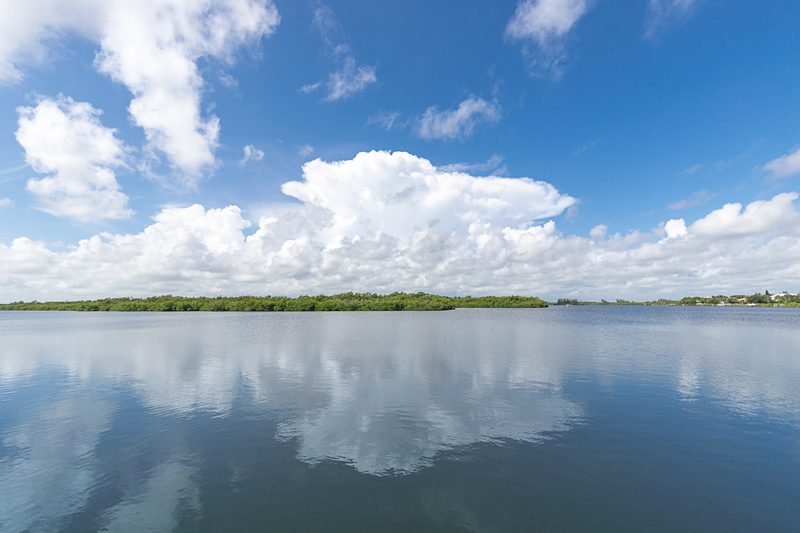 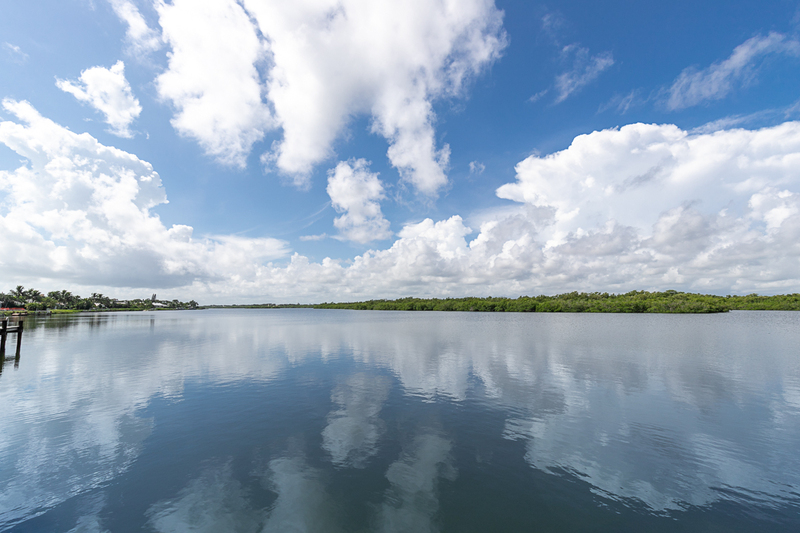 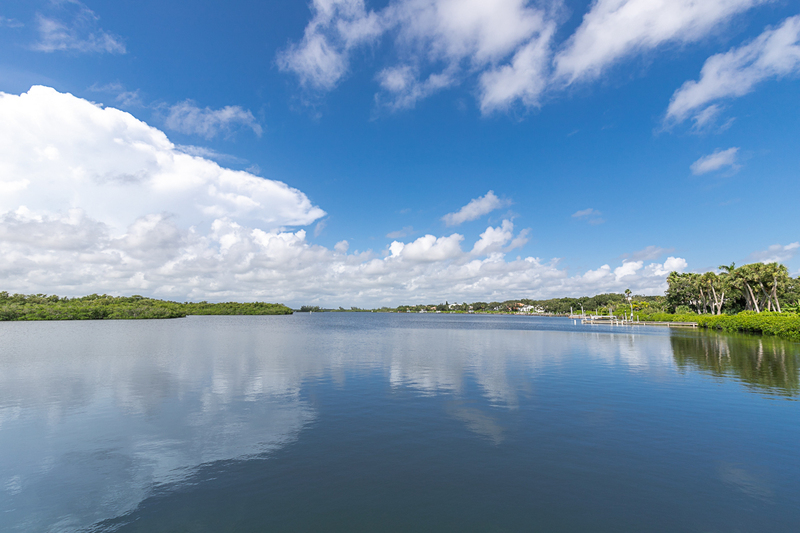 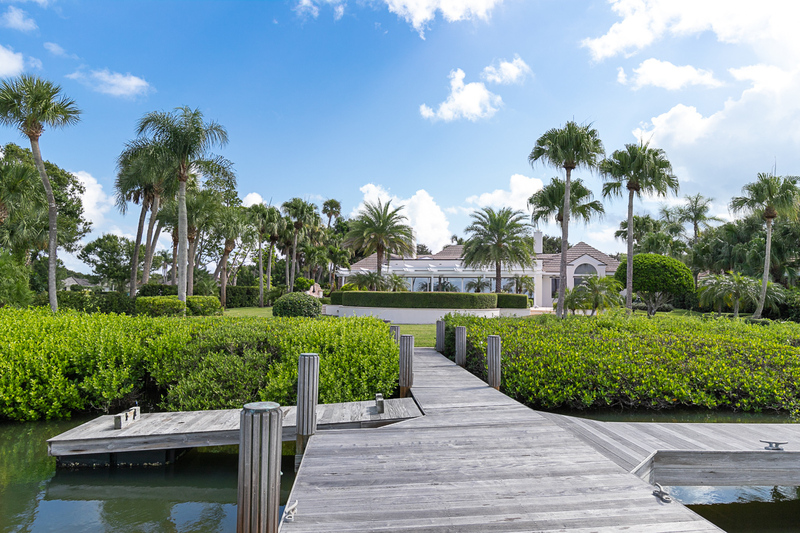 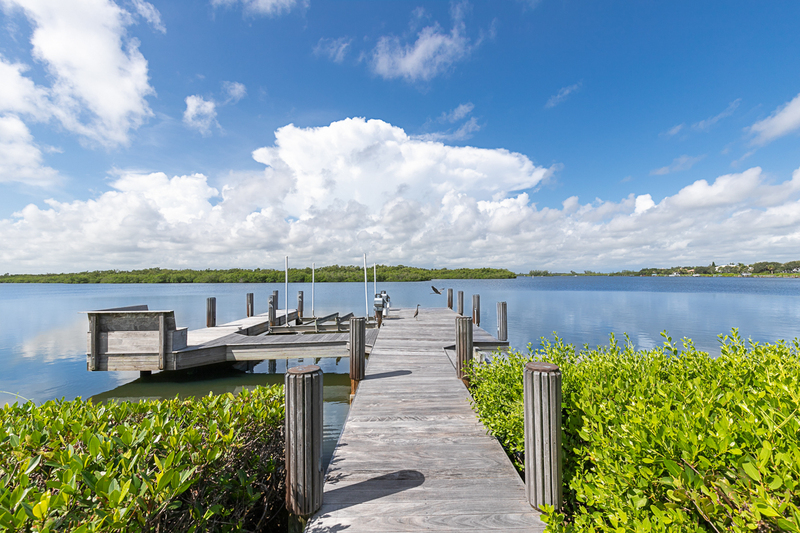 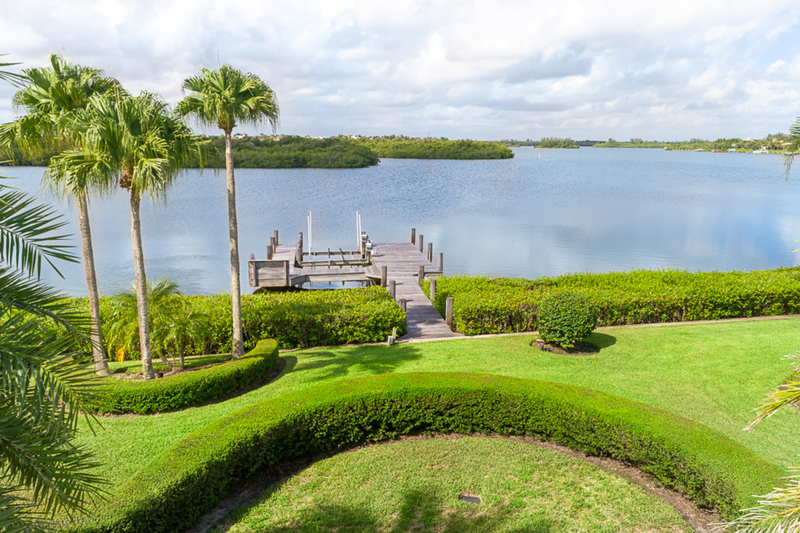 A boat dock with lift and ramp allows for easy access to boating, kayaking and fishing with direct access to the Intracoastal Waterway. 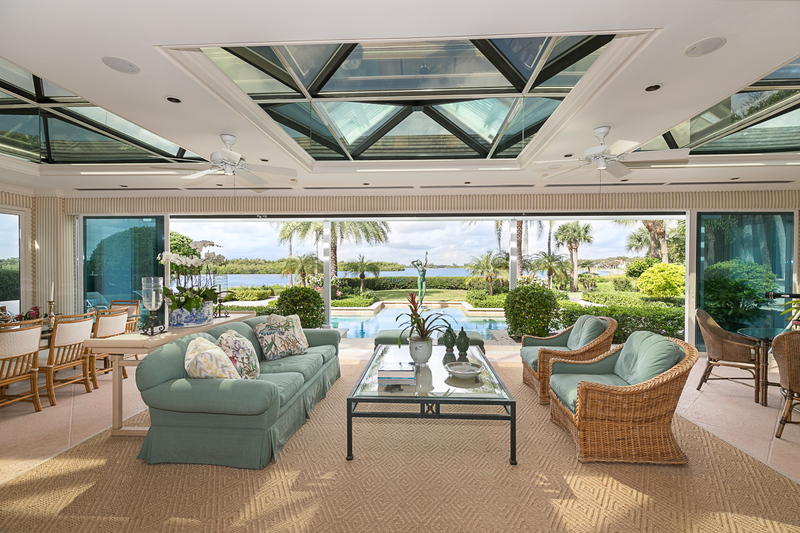 Perfect for entertaining and the focal point of the 6,652± GSF home is the spacious living room with fireplace and adjoining enclosed lanai with large skylights surrounded by floor-to-ceiling sliders and French doors that completely open to the poolside terrace, bringing the outdoors in. 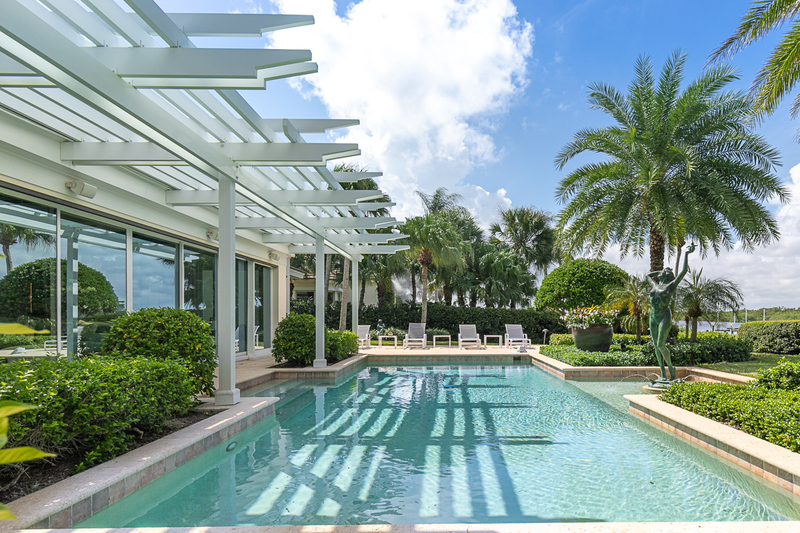 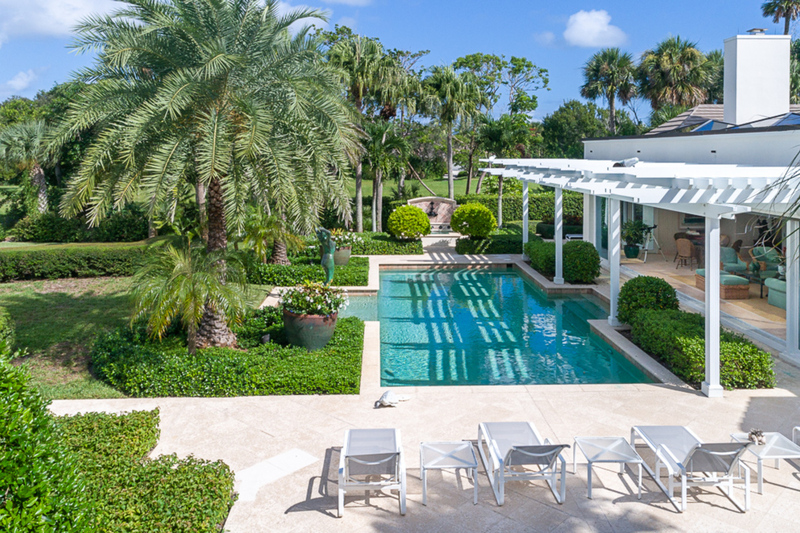 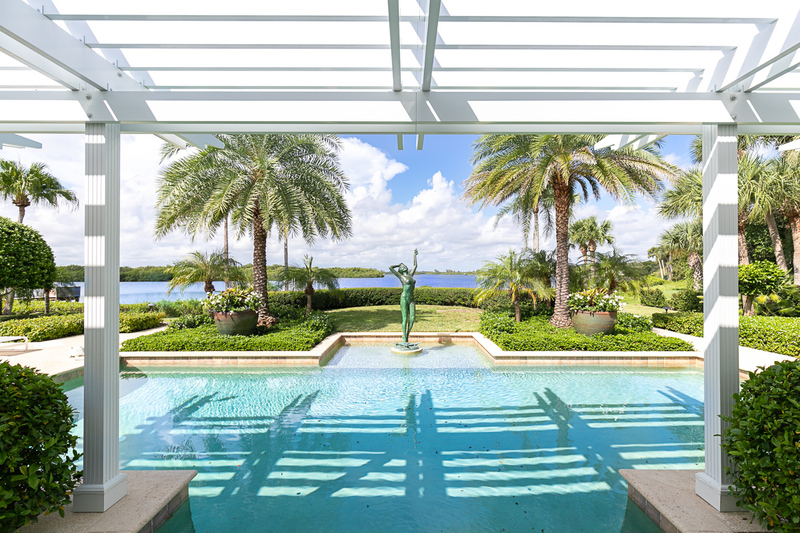 The pergola provides a shady retreat while sculptures and fountains complement the lush tropical landscaping. 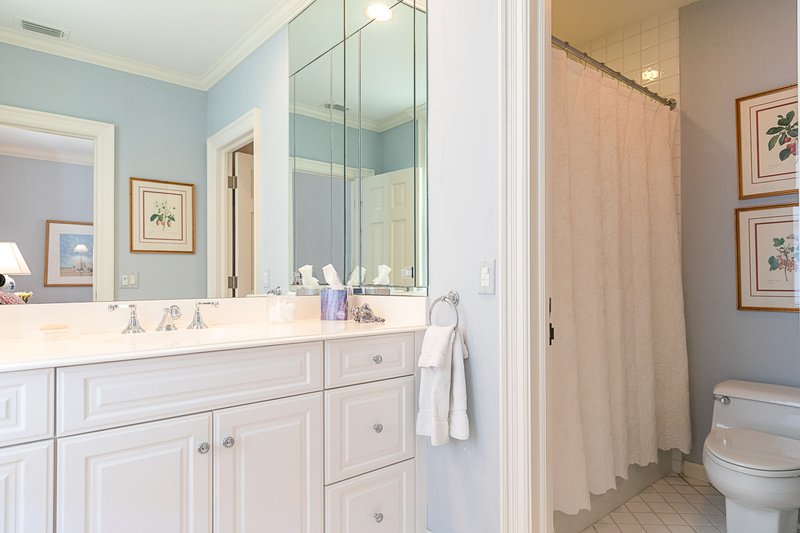 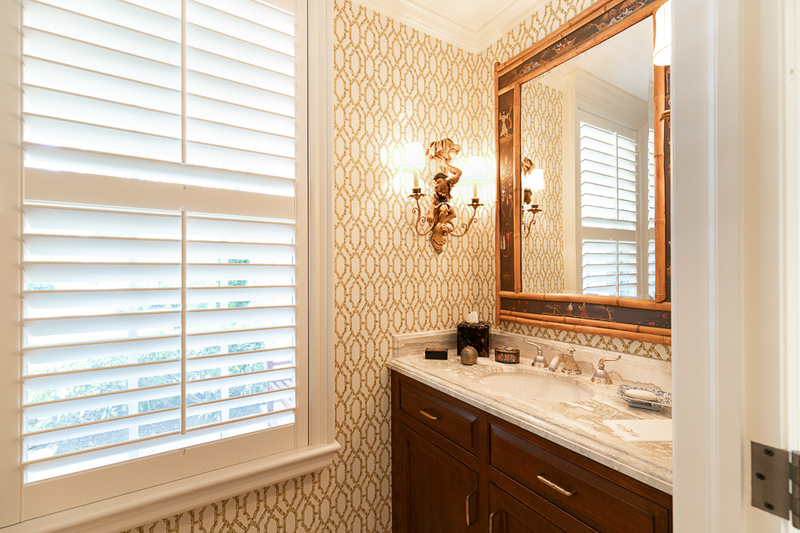 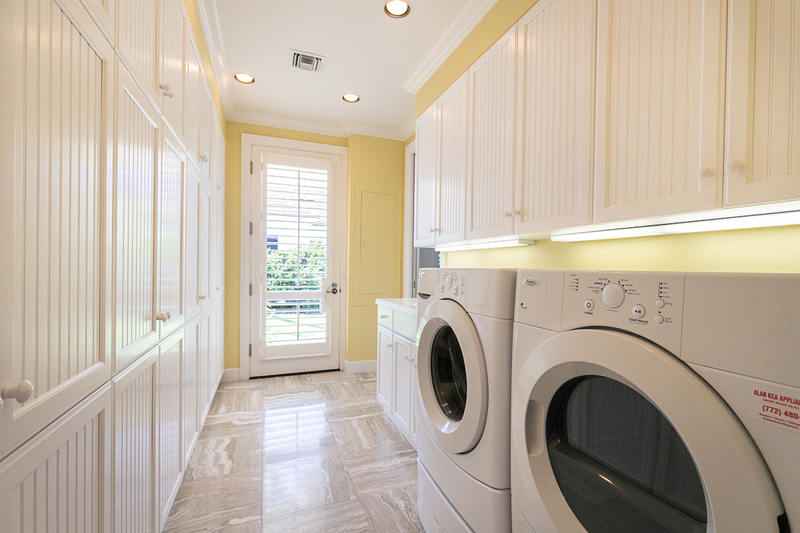 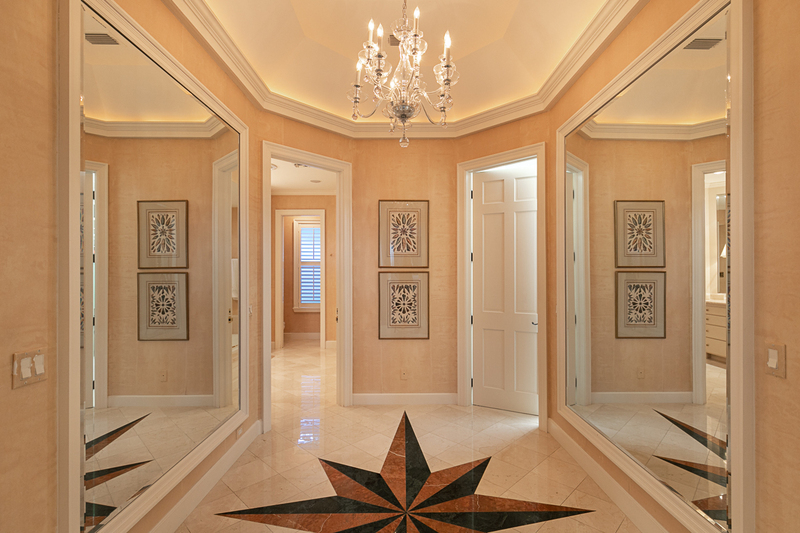 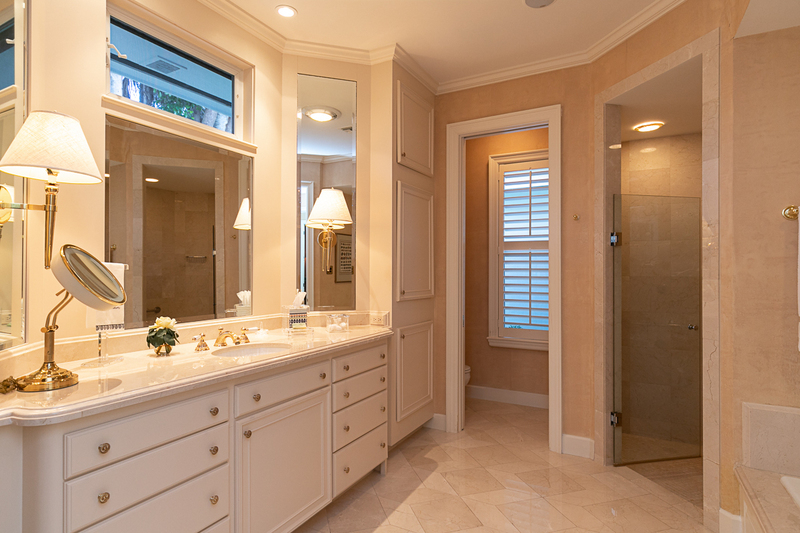 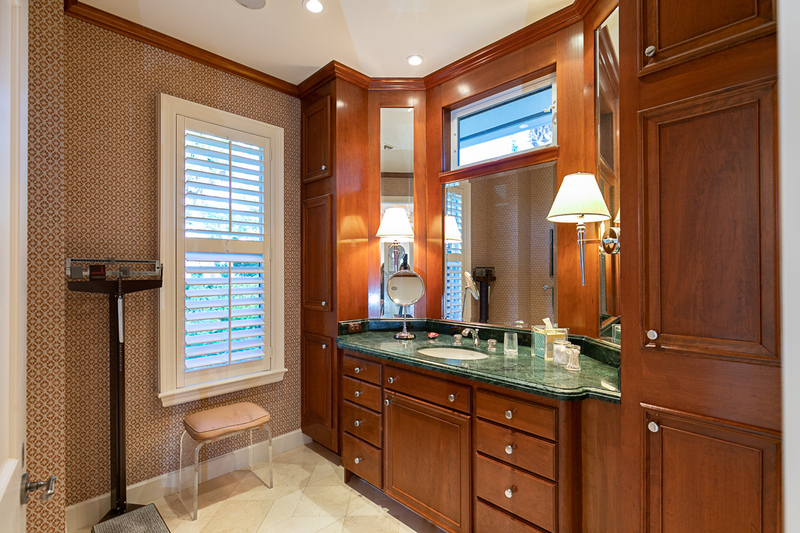 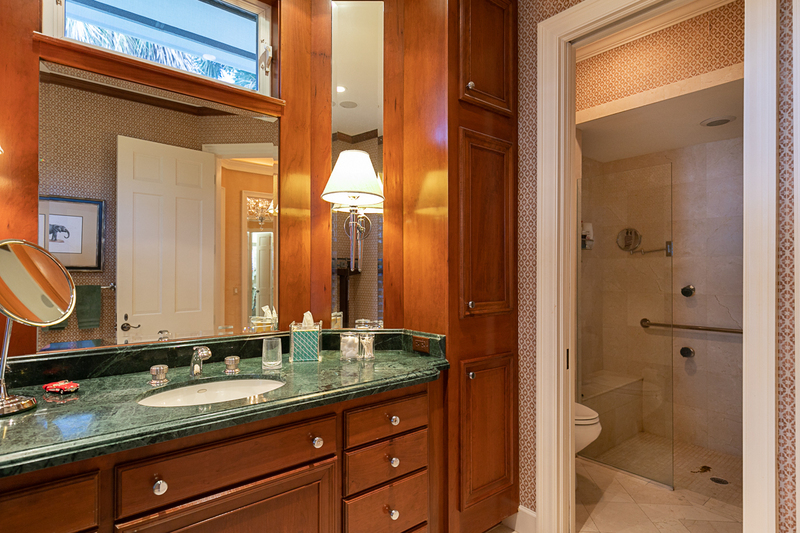 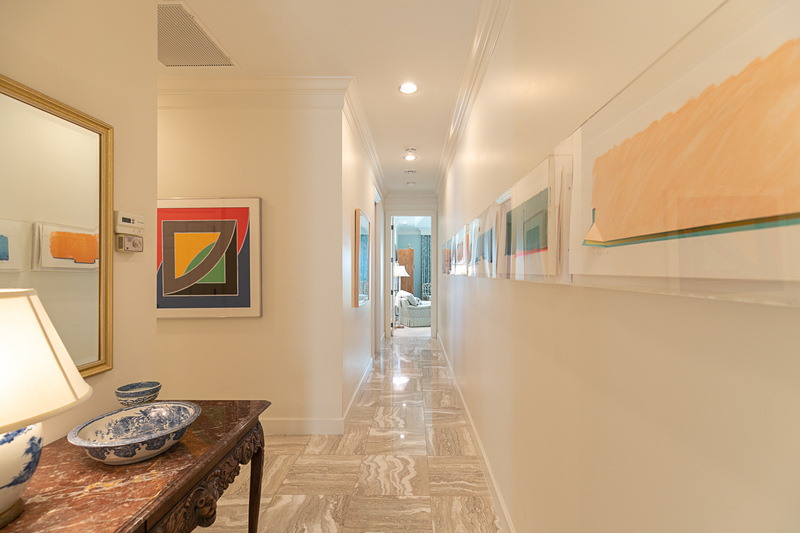 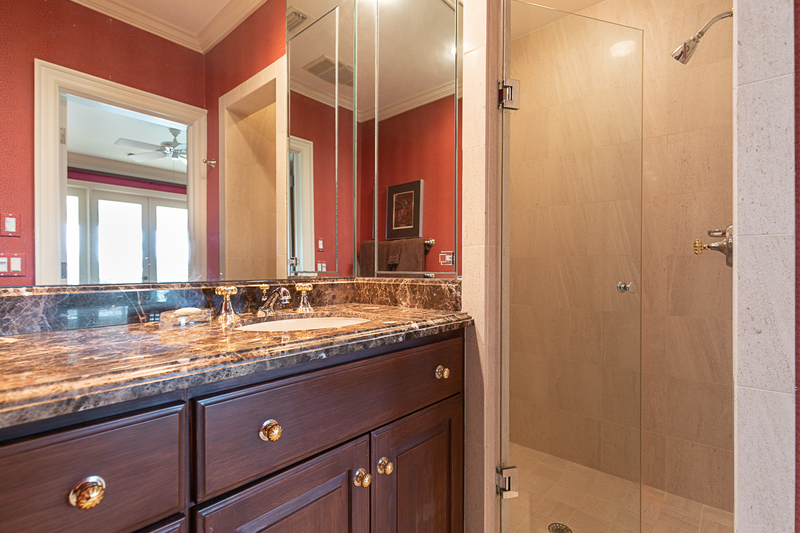 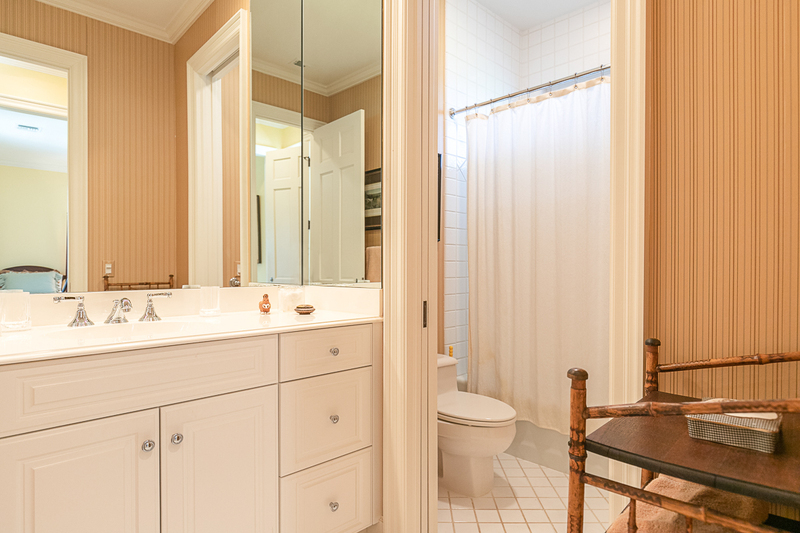 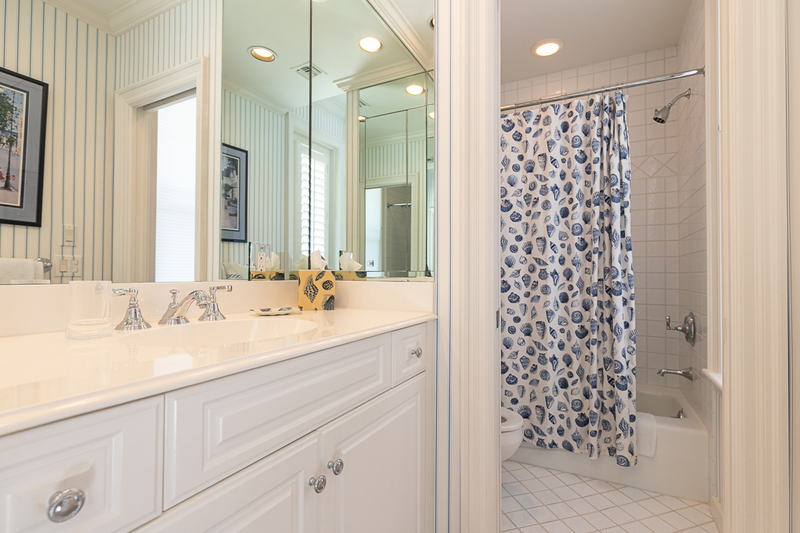 Luxury abounds in the master suite with custom marble-clad baths and walk-in closets. 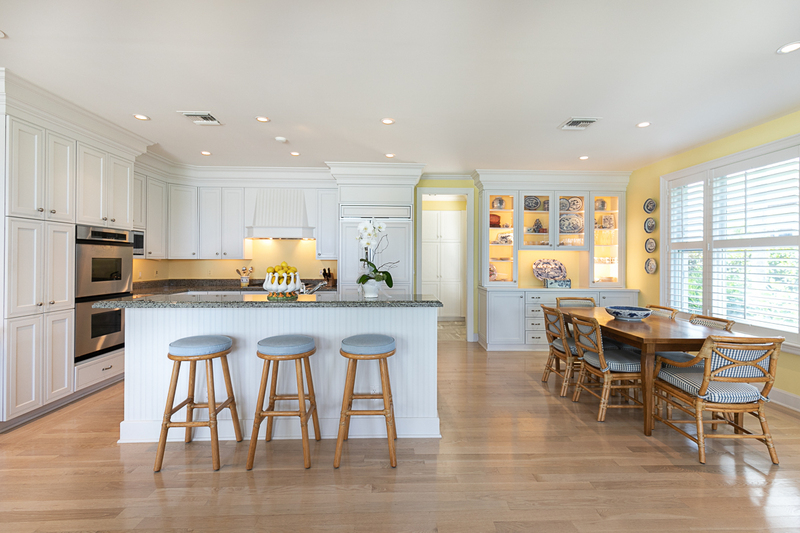 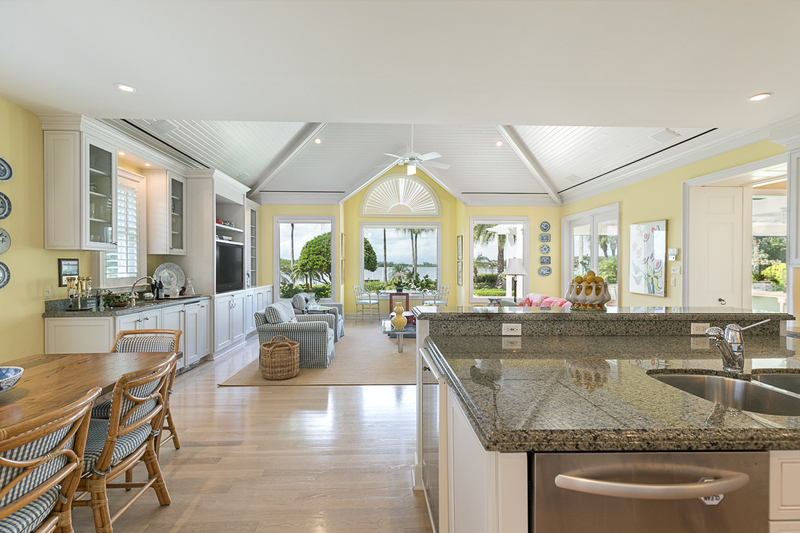 The beautiful island kitchen with wine cooler adjoins the vaulted ceiling and family room with wet bar, custom built-ins and picturesque views. 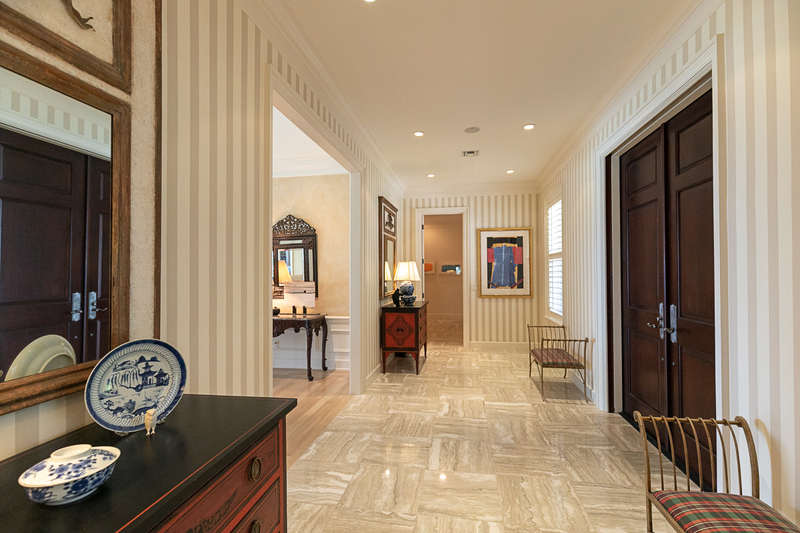 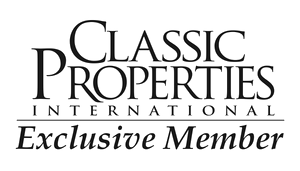 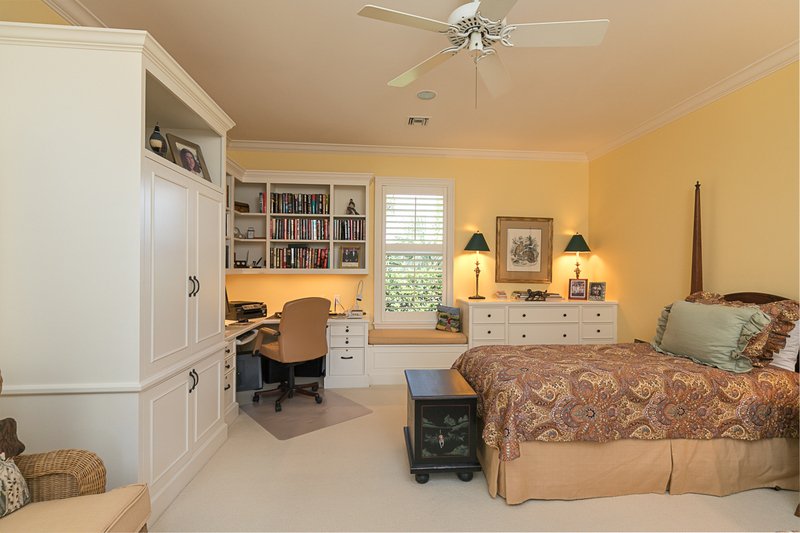 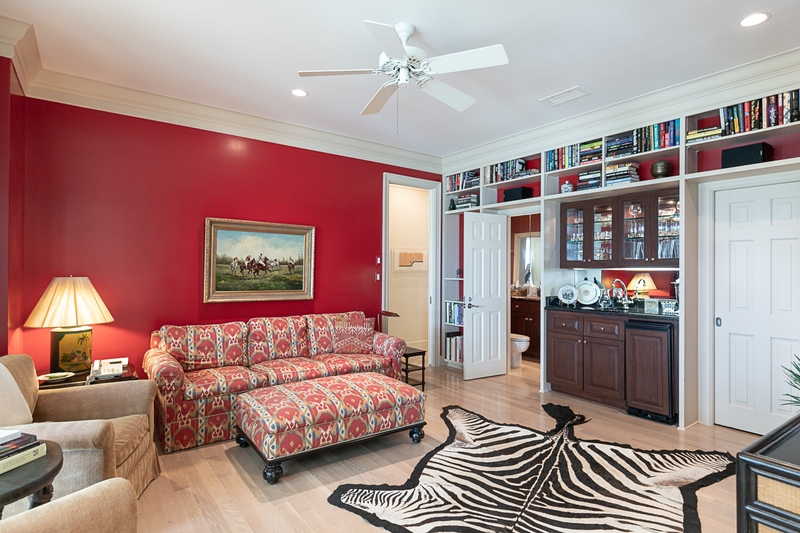 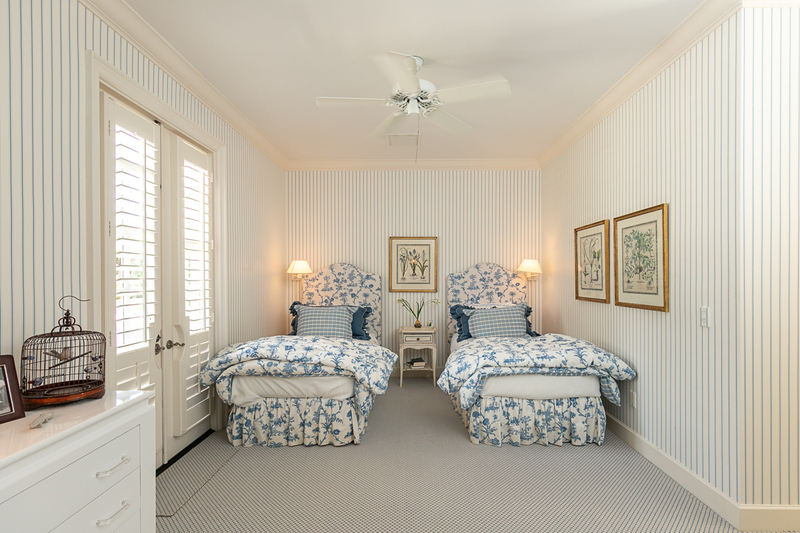 Additional features include a guest bedroom (or library) with full bathroom, a private guest bedroom en-suite with custom desk built-ins, two guest bedrooms with full baths and two single-car garages. 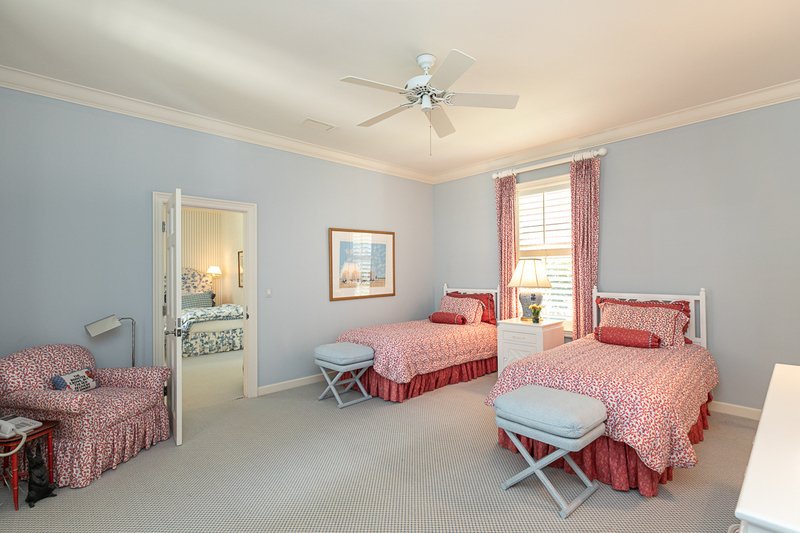 What is 5 + 11?